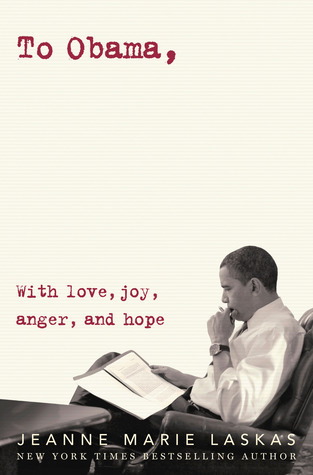 I could not have found a more appropriate time to read this novel than when I did. As a fairly recent Sarah Ockler fan, I've been slowly reading her backlist titles. So when I discovered a copy of Bittersweet in my local used bookstore, I bought it and sat it aside to read during winter break from work. As the temperatures were falling outside, and I had an afternoon and evening to do as I wished, I curled up on my sofa with a cozy blanket and lost myself in Ockler's words... yet again. Hudson was on track to become the next big talent on the ice skating rink from a small town in upstate New York. She was on the verge of being discovered and creating a path to meet her Olympic dream goals. But just as she's about to step foot on the ice, she discovers a betrayal at home, that completely sets her off balance, and causes her to lose focus. In shame and despair, she hangs up the ice skates, and turns to baking cupcakes in her mom's diner. Now it's just the three of them: her mom, little brother, and Hudson, trying to make ends meet and get by as her father leaves town, deserting their family as well. Immediately I was taken to Hudson and worried about the path she'd now created for herself. Though she has a life to be proud of with her delicious cupcakes, adorably inquisitive little brother, a dependable best friend, and a strong-willed mother; Hudson still longs for the "what ifs". What if she hadn't discovered her father's dirty little secret that day and went on to become a National Championship World Figure Skater? Would she be stuck in this forever small town, working alongside her mother at the diner, following a dream that was never hers? All of these questions are so perfectly laid out, yet their answers tend to reveal themselves in due time. As Ockler does so well, she introduces a boy into the mix, that has a tendency to shake things up a bit. Just as Hudson lingers back on the ice for recreation, Josh takes notice and offers to help her rebuild her dreams. Their relationship was very steady, and did not become romantic until almost the very end. Usually I'm the type of reader who wants the romance to surface a bit sooner, but in this particular story, it felt right and almost necessary to emerge towards the finale. I really appreciated the friendship that Hudson and Josh develop first, which added that much more meaning to their story as it progressed. Bittersweet left such a satisfying taste in my mouth upon finishing it. This YA contemporary served up just the right amount of drama, mixed with enough emotion and determination to really propel this story forward and cause me as the reader to want to go back for seconds. I've said it before, and here I am saying it again, Sarah Ockler is such a divine writer, who deserves more attention. Her writing is among the best in YA contemporaries and I wish more people recognized that. If you're new to her writings, Bittersweet is definitely a good starting point. I have one more backlist title to read from her, and then I'll be reliving her stories, over and over again. This sounds so good. I remember seeing covers of her books before and thinking, "Man, I'd like to read that." Glad to hear you liked it. Fabulous review! My first Ockler read was The Book of Broken Hearts, which I absolutely adored. 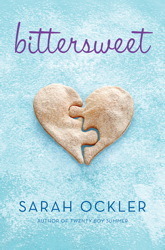 I actually read a sample of Bittersweet before it first came out and I loved it, but I never got around to reading the whole thing :( But I forgot about how great Ockler is, and how much I, too, wanted to read everything she has ever written. I might just have to get on it. Though I am trying to eat healthier, so this one might be a bit dangerous for that! I definitely need to read Bittersweet! I've really enjoyed the books I've read from her, and this one sounds like it'd be yet another one I fall in love with. I mean ICE SKATING. CUPCAKES. FRIENDSHIP-TURNED ROMANCE. All are definitely things I enjoy reading about!